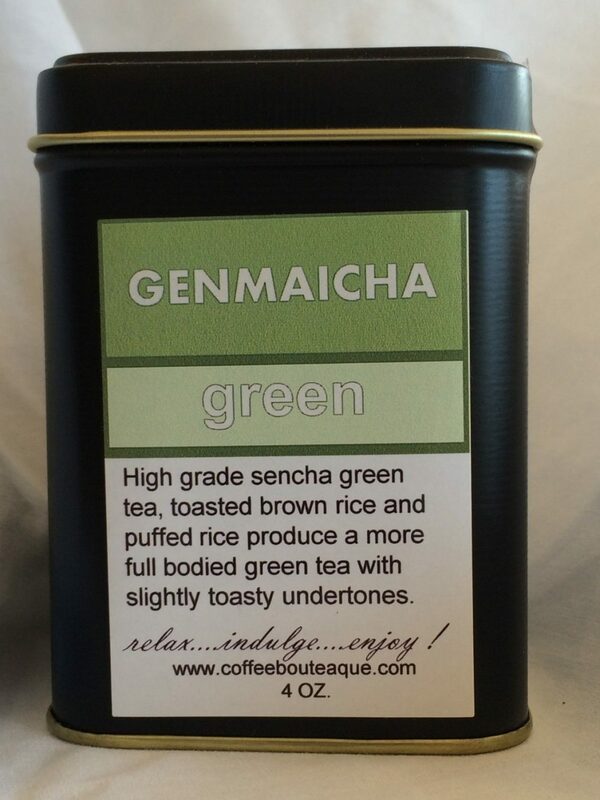 High grade sencha green tea, toasted brown rice and puffed rice produces a full bodied green tea. This Genmaicha is a very traditional Japanese green tea from the Shizuoka region is made from a Sencha tea blended with toasted and puffed brown rice. 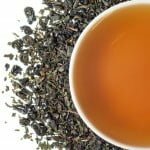 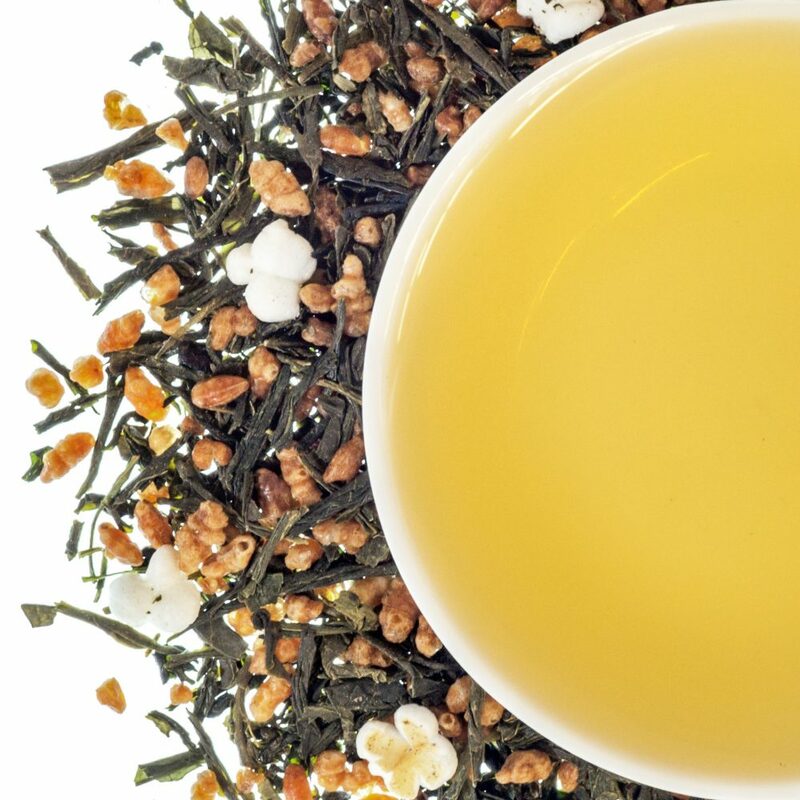 Amazingly, the flavors don’t really blend in the steeped cup, instead you can taste a wonderful Sencha green tea underneath a toasted rice/grain flavor and the puffed rice (almost popcorny in taste) on top. 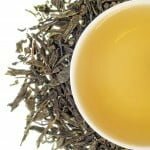 This is a very cool tea.